The University of Hawaiʻi System includes 10 campuses and educational, training and research centers across the Hawaiian Islands. As the public system of higher education in Hawaiʻi, UH offers unique and diverse opportunities. Hawaiʻi position between east and west, in the middle of the Pacific, creates opportunities for international leadership and influence. Asia/Pacific expertise permeates the university’s activities. The 10 UH campuses and educational centers on six Hawaiian Islands provide opportunities for both learning and recreation. UH academic offerings range from certificate and vocational through doctoral programs. In 1907, the Hawaiʻi Territorial Legislature established the College of Agriculture and Mechanic Arts in Honolulu under terms of the U.S. land grant legislation. Since then, what began as a college of ten students and 13 faculty members has evolved and expanded to a 10-campus system spanning the Hawaiian Islands. The University of Hawaiʻi has grown and responded through the years to the research and cultural needs of its educational community, the State of Hawaiʻi and beyond. 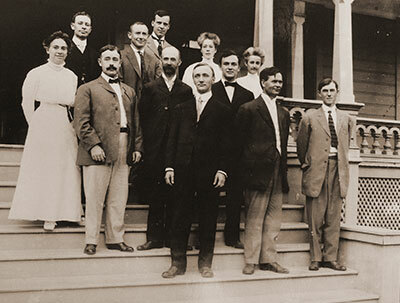 View a timeline of the University of Hawaiʻi and its development over more than a century. Need more info? See an overview of each of our 10 campuses. View an interactive Google map of the UH campuses across the Hawaiian Islands.